Prufrock cannot bring himself to ask his companion the “overwhelming question” (which he never identifies) that carries us through the poem. He is paralyzed by the same overwhelming fear of missing out (yes, “FOMO”) that plagues a generation facing endless options and clear few choices: “In a minute there is time / For decisions and revisions which a minute will reverse,” Prufrock laments. Instead, not daring to “disturb the universe,” (“how should I presume?” he asks), he engages in one long monologue rather than dialogue. 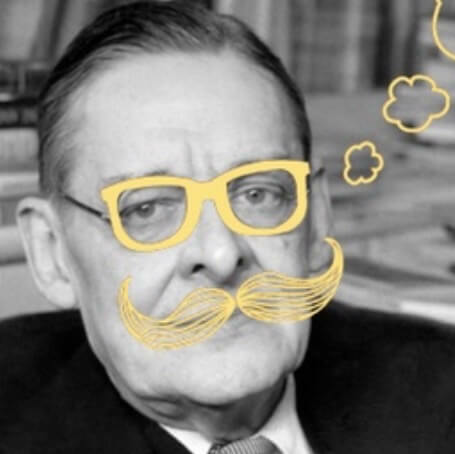 Today, Prufrock might be a blogger—and, in his fixation on trivial objects of beauty, a social-media dilettante. —The Atlantic. 5 Jan 2015 in Culture, Humanities, Literature, Social_Software, Weblogs, Writing.